Chipping Norton Sixth Form is an exciting place to begin the next stage of your academic career. Our central aim is to “Enjoy and Achieve”. Over the last 3 years our A level results have placed us in the top 25% of schools nationally. In our most recent Ofsted report we were judged to be Outstanding. Our students go on to a wide variety of Post-18 destinations. This year 60% of the Year 13 cohort applied to university and 46% of these students achieved places at Russell Group universities. Students have the luxury of their own facilities, allowing them to study independently in a variety of learning environments. We have a strong sense of community, which provides additional support for students throughout their two years of study and allows them to develop friendships that last a lifetime. Mrs L De Bruyn is Head of both Year 12 and 13 and works closely with the Head of Year 11, and students in any neighbouring schools who wish to join our sixth form, to ensure a smooth transition from GCSE to A level study. 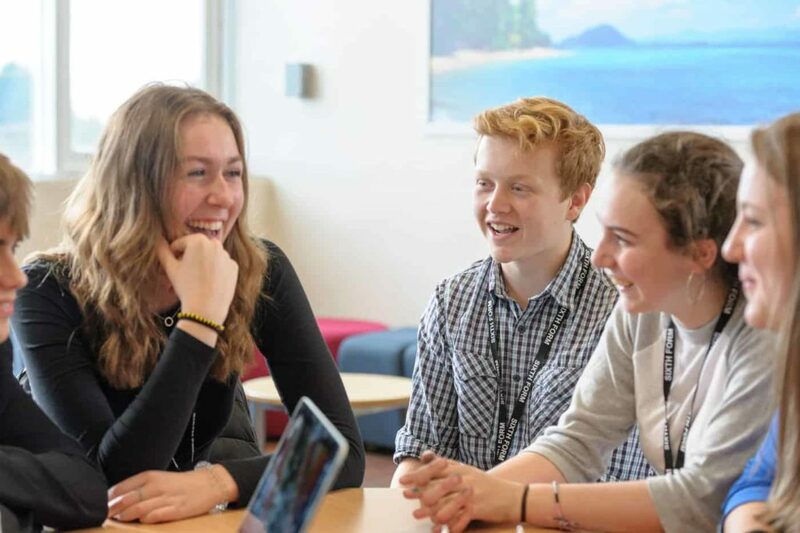 We work closely with students, parents and outside agencies to ensure the safety and well-being of all our students and also to provide Information Advice and Guidance (IAG) to all students in order to support them with their Post-18 options. Mrs C Davison provides pastoral support, UCAS, and careers guidance for sixth form students and is based full-time in the Sixth Form centre.